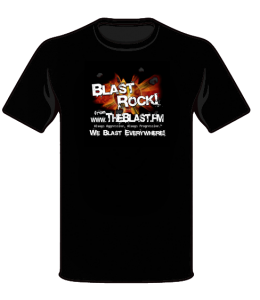 Blast Rock from TheBlast.FM T-Shirts! Available in S, M, L, XL, XXL. Perfect for a day at the beach, toss around at the office, or for an accessory in a mosh pit with your favorite Blast bands! Keep your cool and stay warm! TheBlast.FM winter caps! Black 100% Polyester caps keep your noggin' warm while the embroidered "Blast" logo keeps you looking cool! Get your Blast On... your CAR! This waterproof 6" x 3" car sticker will make any ride Blasting! 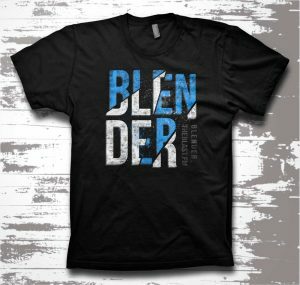 Make sure to include your mailing address when you check out with Paypal! 5 waterproof Blast stickers for $5! 100 Blast Cards for $5! 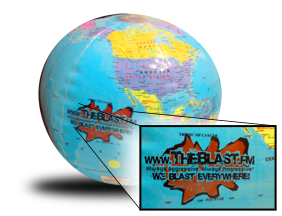 A great way to spread the word and support TheBlast.FM! 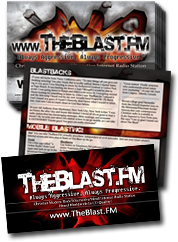 Includes testimonials and ways you can get Blasted on mobile devices!